I was 9 in 1993 when the original Jurassic Park came out and it holds a special place in my heart as a genuine classic family movie I was able to see during its original run, and at just the right age to be fully captivated by all its fear and wonder. Two…variable, sequels later and after a much needed break we're getting a new instalment in the shape of Jurassic World, not with a plot built around another contrived reason to visit the crumbling remains of the old park, but about an open and fully functioning attraction, and I am in love with it. It really is a great website. Like a few films of recent years Jurassic World's viral marketing has flourished into a quite elaborate world building project all of its own. 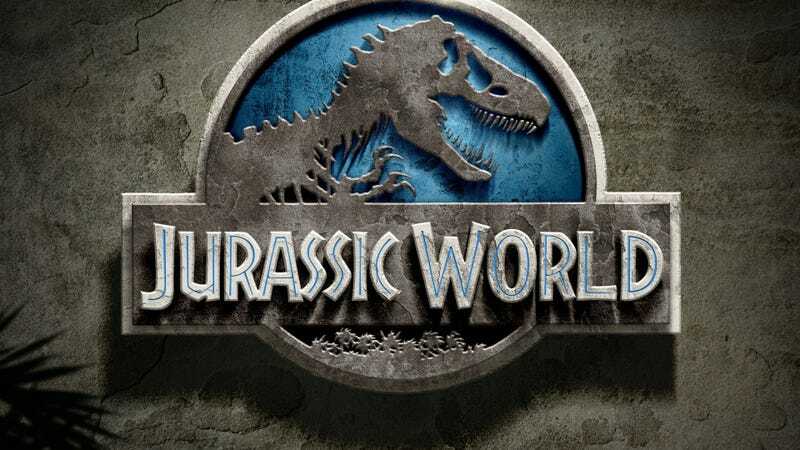 The park's website is – bar a few pages – dedicated to treating Jurassic World as a real attraction. It has a Disneyland style park map of exhibitions and activities, light hearted dinosaur fact pages, friendly safety advice and, my favourite, actually quite dull "live" camera feeds from various park locations, showing bored tourists waiting in line, scientists doing their daily checks, and frustrated workers shovelling monstrous piles of dung. I have no doubt these will show something quite different come the film's release date and that knowledge makes their banality wonderfully ominous. Looming threats aside however the website is better the less it acknowledges the film it is working for, the occasional fragments from the film's trailer which make their way into the backgrounds of the site feel out of place next to the believably lower grade in-universe promotional film footage. It's not only the park which has its own website, there's also the site for Masrani Global, the company which, we are told, bought out Hammond's INGEN after his death. This site is your exposition library, offering back-stories on the rise of Dr. Wu (hi BD Wong! ), the near future tech seen within the films, and of course, the rebuilding and successful opening of Jurassic World itself. Prometheus – similarly a film trying to offer a fresh start to a franchise that had been subjected to increasingly lack lustre sequels in the years since its release – had some downright beautiful viral marketing, which gave great insight into the world, its history and the people who inhabited it. The film which came out at the end of it all however was one many people found lacking. A beautiful but bloated mess, unsure if and how much it should play to its nostalgic fan base, and trying so very hard to be about much more than its predecessor, but ultimately being about much much less. With this in mind I worry about Jurassic World, for as much as I am loving the world building work of its viral campaign, its direct marketing is leaving me very cold. From the feathers issue* to the sexual politics but most damning of all its simply rather hackneyed sounding plot, the setting is seeming more and more like the only interesting part of the film, the rest not actually being all that different from the lesser sequels of 1997 and 2001. That being said however, I can and do still enjoy that Prometheus marketing, the promotional android film is a wonderful short, and I hope there will be expansions and changes to the Jurassic World site in the coming weeks that will similarly stand on their own once the film has come and gone. Or who knows, maybe it'll actually be filled with that 1993 fear and wonder after all. *Curiously, the website confirms that the dino DNA is no longer patched up with that of frogs, but that of contemporary relations like crocodiles and….birds. Guess they just make sure to snip out all those feathered genes. **Yes I know that was Westworld, but close enough.